People born specifically on the 24th of April are believed to be easygoing, strong willed and practical and like all bulls dislike being rushed. 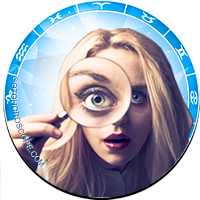 The ruling astrological planet that dominates this particular day is Venus adding a sense of style and high creativity to your list of attributes. If you have this birthday a receptive and unselfish humanitarian temperament is bestowed upon you. You will usually have big ambitions and be gifted with plenty of versatile talents to help steer you towards success. Your touch of stubbornness sees you rarely agreeing to something you do not want to do and you often have a low tolerance of noise, chaos or clutter. Individuals with an April the twenty fourth birthday possess a great humor and are extremely loving but sometimes unintentionally a little too blunt in their opinions. You are also inclined to be rather indecisive or overly cautious and this can occasionally hold you back in life and be irritating to others. 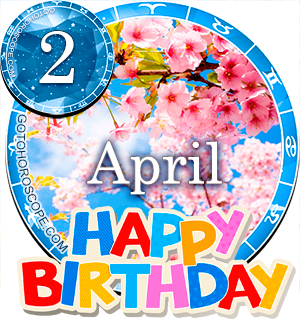 Top job choices to a person born on the twenty fourth of April are usually those that allow you to utilize your artistic flair. 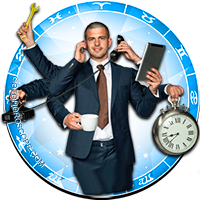 You are not a fan of mundane tasks and require a career offering variety and the opportunity to advance to higher positions. You are willing to sacrifice higher pay for work that offers challenges and a sense of pride. Imparting information and useful advice is another of your strong points and attracts you to service type occupations. A sensible approach to your finances means that you are unlikely to encounter many problems controlling household and personal budgets. 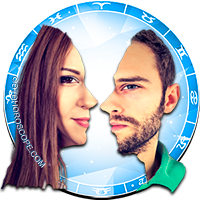 For a Taurus, the person born on the twenty fourth day of April is typical in their emotional self sufficiency concerning romance. Although you are enthusiastic about the idea of love in your life you can be fussy about finding the perfect loving partnership and often hesitant to settle down. You are intensely warm and affectionate with an abundance of charm and sociability so are rarely short of friends and admirers. A belief in one true destined soul mate encourages you to seek out or wait for that special someone who you feel you are meant to be with. When committed to a long term personal relationship you tend to aim to always put you other half before yourself. Your independent but expressive emotions make you passionate, sensual and flirtatious. However they can sometimes cause you to be possessive or attention seeking if you are not content. Ill health experienced by those born on April 24th is every so often a consequence of stress build up. You are usually especially prone to taking on the worries of others as well as your own leading to a rise in anxiety levels. Learning to not take on too much responsibility and say No more frequently should help. You are ordinarily seen at your healthiest when emotionally contented. People born on this day can be particularly interested in the cooking and eating of fine foods. If you are tempted to overindulge your vanity usually kicks in and prompts you to do some extra exercise to burn off excess calories. Your main strengths of character are revealed in the nurturing protective part of your disposition and the expressiveness you display. These qualities and your friendly versatility characterize you as a kind, helpful individual. Your humorous side helps you cope with life's little ups and downs. Personality weaknesses for those born on April 24th are mostly focused on your noticeable indecisiveness but this can diminish as you mature. Besides indecision you have a tendency to be somewhat moody and this negative behavior can be harder to control as its triggers are not always instantly obvious. Being born on the 24th of April makes you naturally energetic and high-spirited with lots of determination to get the most out of life. 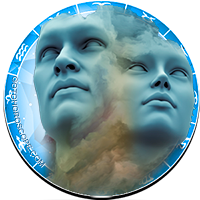 You have a fairly patient nature full of practicality in addition to being very determined and this assists you to be thorough and careful in all you attempt. The majority of your professional goals and lifestyle dreams are likely to have been formulated from ideals and ideas formed in childhood. You like to make plans for the future but you are prepared to amend or change personal objectives and directions if a situation necessitates it, or for someone you love. 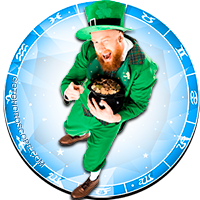 As you were born on the twenty fourth day of the month the two and four in your birth date award you a Root number of Six. This numerical reference to your birthday has the keyword 'Social' spotlighting your overall friendliness and receptiveness. 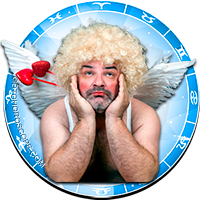 In Tarot the 6th card picturing the Lovers in the Major Arcana is closely linked to your birthday. This is a symbol of the probable sentimentality and hesitation within your actions and thoughts. The lucky gemstone for April the twenty fourth birthdays is Turquoise and is imagined favorable for dispelling negativity and promoting tranquility and prosperity. 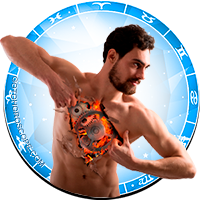 The personalities of a Taurus, the second sign of the zodiac, are assumed to be astrologically influenced by the planet Venus. The actual day you were born on, the twenty fourth of April is cosmically governed by the same celestial body intensifying the expressivity of your characteristics. Your stylish yet down to earth outlook presents you as confident, capable, fair and kindly but not at all egotistical. Your liveliness and motivation ensure you are hardly ever without something to or someone to see. A ponderable pertinent ending thought for those born on April the 24th applies to your verbal expressions. Do not feel obliged to have to express your views on everything as some things are best left unsaid. Omg this is exactly me. So spot on! i too also from april 24.i get confuse to take decision. This website is awesome. You literally can find anything amongst these thousands of descriptors! This is why I am absolutely captured by astrology.This article exposed me on more levels then one,and helped me to laugh at my noticeable indecisiveness.Loved it! Some things true put not every thing. 99.9% is very true about I & Twin. Summed me up perfectly. Haha. Thanks.